Sometimes a seeker of Truth needs to be a group of one! Being a group of one is natural for some folks and often times they are great humanitarians who are misunderstood because they act on their own and rely on their (inner) Self! 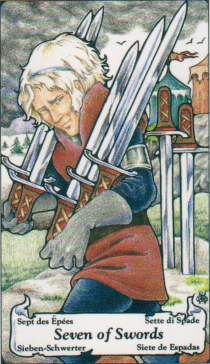 The image of the card 7 of Swords (which inspires today’s message) shows someone tiptoeing away from society. 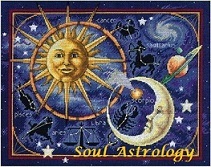 Swords and the astrological sign Aquarius relate to “air” or mental activity. Personally, I think “information” when I see the suit of swords. Gathering the information and using the intellect to go off and do one’s own thing so-to-speak in order to achieve freedom and create something unique… that is the essence of it. I’ll never forget the first time my mother asked me to hold her car keys while we were out in public somewhere. I was way too young to drive. But I felt so FREE holding those keys imagining how it be could someday. If only I really could use those keys to start the engine of a car and drive off somewhere! What a feeling! I would no longer have to be dependent upon someone to drive me places and could go where I wanted to do what I chose. I remember actually jiggling those keys so that people would notice and think me more mature than my days. The desire to run lone and free! That epitomizes the energy around today’s message. Sometimes in life we do need to withdraw—to gather up what we know or maybe even some materials (books, etc.) and get away from others to study or prepare. Sometimes withdrawal is necessary so can we take inventory of what we have and what we still need. Then we realize that once that’s done, we have to return to the same societal structure that we escaped from and deliver the goods from time to time. Yet, a return to the state of withdrawal remains periodically necessary. Certain people ‘are’ more comfortable on their own. Yet other people believe that the loner is in denial or trying to escape or avoid responsibility. While that can be possible in some cases, and every lone wolf has to examine that possibility, it is also true that some people just function better and are happier on their own and away from consensus society. Those who can ‘only’ function in groups or being in partnership or very active in their family/society/clan find it difficult to understand the lone wolves of the world. They simply don’t “get” those who dance to the beat of a different drummer and they seem to want to project their standards onto the loner. 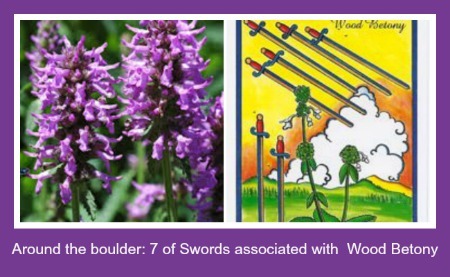 The 6 of Swords relates to Aquarius energy: the archetype keywords for this energy are individualistic, assertive, independent, humanitarian, inventive, original, eccentric, opinionated, intellectual, idealistic, cool, friendly, and detached. Well known lone wolf types are George Clooney, Russell Crowe, John Lennon, George Lucas, Marilyn Monroe, Conan O’Brien, Princess Diana, and Britney Spears—so you get the idea now, right? Personally, the transiting south node is hitting my natal 11th house Uranus (rules Aquarius) and so this 7 of Swords theme is being triggered in my own life. The car key carrying memory that was triggered with this card relates this way. Those who are lone-wolf types may be able to see they’ve always been that way… always had the desire to escape from the local community or family. 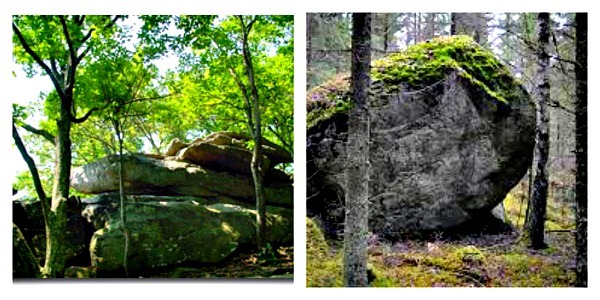 As life progresses, the withdrawal takes on greater purpose. First we may seek status in the form our individuation, but eventually we create something unique and individual to give to the world. We’re not all going to be a George Clooney or Princess Di, but in our own way we each have a unique gift to offer the world after we come back from periodic hibernation. Today’s message involves considering if you may need to withdraw for a while in order to take inventory and get the creative juices flowing. And a side message has to do with examining whether or not you are withdrawing for the purpose of escaping responsibility and if so, to make changes where the heart and soul are guiding you to do so. And lastly, if you know of a lone wolf, trying to conform them is a huge waste of time… try to support them and love them for their unique identity!